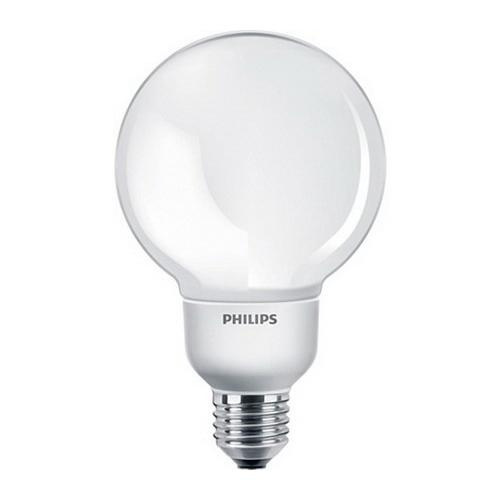 Philips Lighting Energy saver 9-Watt EL/A G25 T3 E26 single contact medium screw base compact fluorescent lamp has color rendering index of 80. Lamp with 2700K color temperature rating radiates warm white light to the surrounding. It has efficacy of 56 LPW. This decorative lamp has voltage rating of 110 - 127-Volts and current rating of 120-Milli-Amps. Lamp measures 112 mm x 112 mm Dia.